Security valves for cooktop, oven and grill burners. Ignition for cooktop, oven and grill burners. Glem has created an innovative oven which combines all the features of a multifunction electric oven with those of a gas oven. 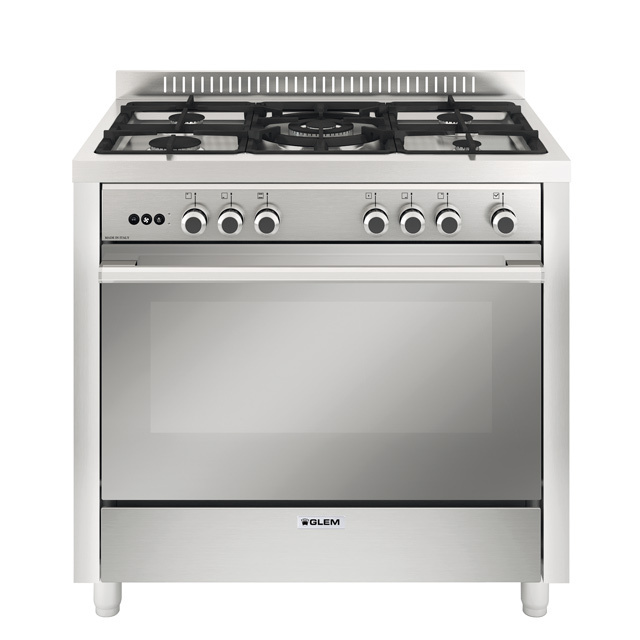 The traditional cooking of a gas oven, ideal for roasting and baking, combined with fan forced ventilation provides a great heat distribution for single and multi-level cooking. More recipes prepared in less time and with less energy consumption. Thanks to new burner the grilling area increased to 75%. The Multichef allows you select between fan assisted or static cooking in gas ovens. This provides great versatility in cooking times and methods. 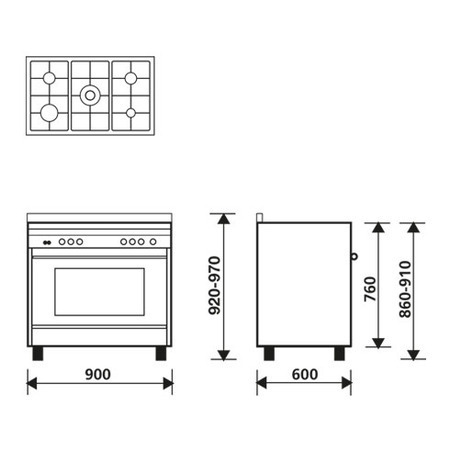 Simply select the fan with the dedicated knob on the control panel to create perfect heat distribution inside the oven. The accurate and constant temperature of the oven browns dishes perfectly and allows you to cook more than one dish simultaneously, optimising the use of the space inside the oven. The fan spreads the heat produced by the gas burner in a homogeneous way. It is ideal for roasting big pieces of meat. The fan spreads the heat produced by the grill gas in a homogeneous way. It is ideal for baking big pieces of meat.